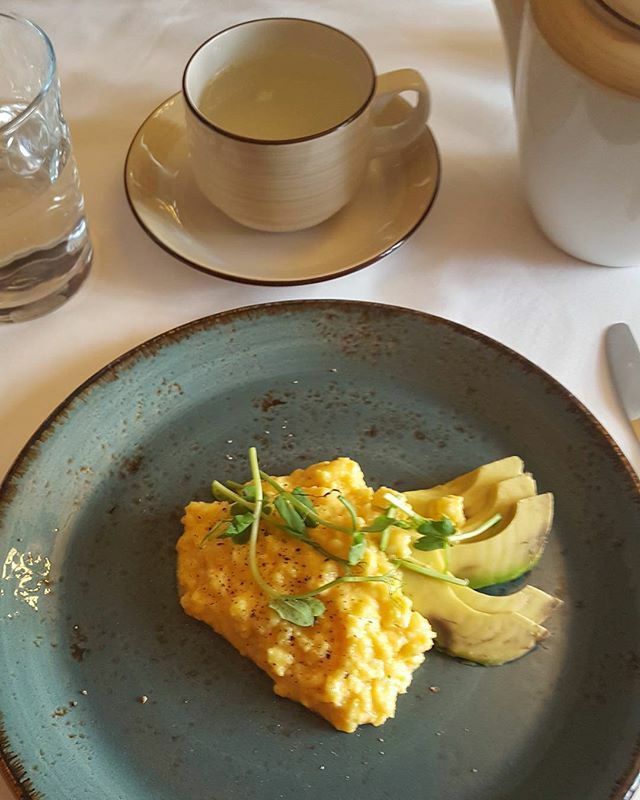 Scrambled eggs and avocado with some shoots and lemon and ginger hot water. Protein in the eggs and complex carbs and good fats in the avocado. 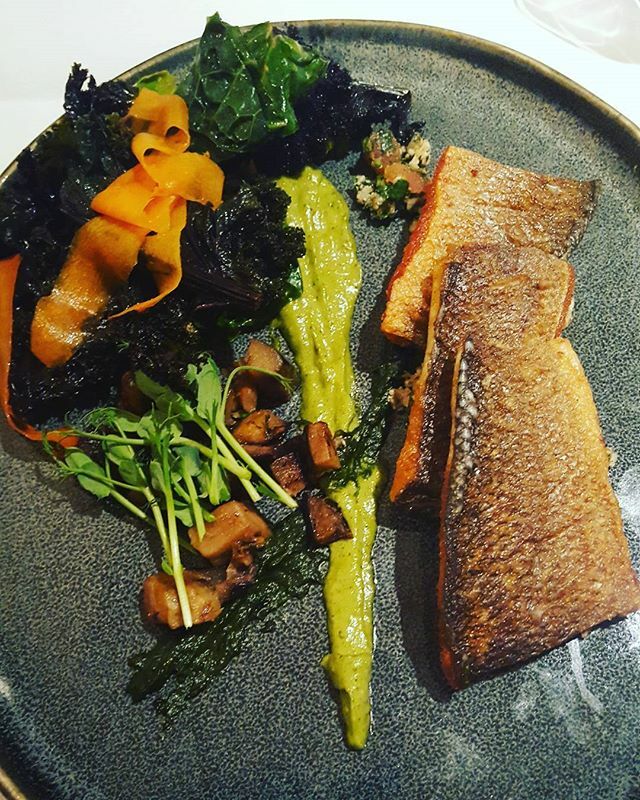 Healthy good fats in the seabass with crispy skin -yum! A smear of aubergine puree and cauilflower couscous and crispy cavolo nero. The carrot is sliced and cooked together with cabbage and kale. Mixed together with some Moroccan style spices.